Here are the top 7 commercials that will either make you chuckle or tear up with holiday sentiment. To the world, Santa rides around in his sleigh delivering presents to all the good children. 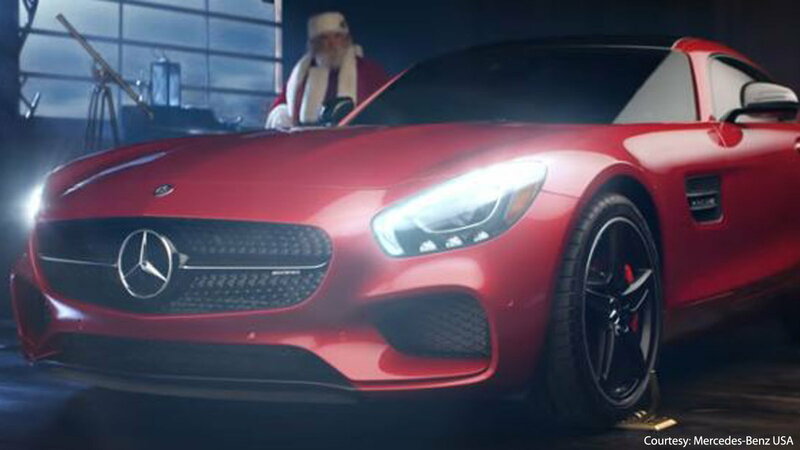 But, as Mercedes-Benz reveals, the only way Santa can shimmy down those chimneys in the nick of time is with the assistance of a red GTS coupe Mercedes-Benz. Advertising the M-B's speed, Santa drives behind eight silver M-B "reindeer" to get to all those houses before Christmas ends. Watch the full 2016 commercial here. >>Join the conversation about Mercedes-Benz Spreading the Holiday Spirit with Commercials right here at MBworld forums. 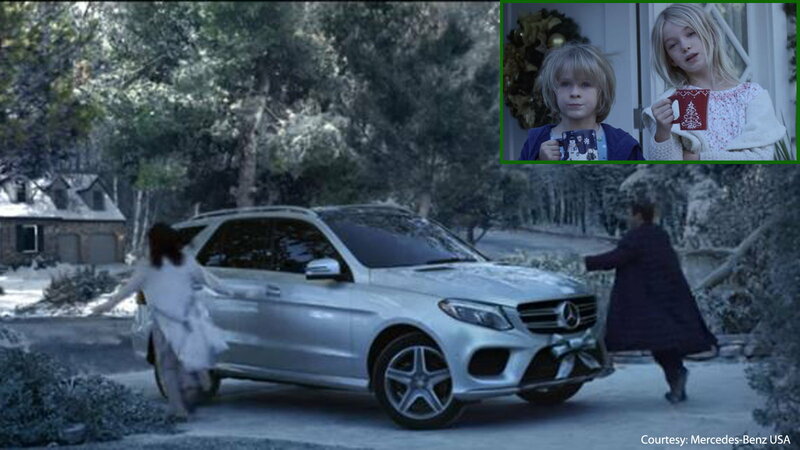 Santa has a big secret in this 2013 Mercedes-Benz commercial. It seems Santa Claus owns a garage full of cars all modeling the prominent three-pointed star. Yet, the one that speaks to him is what looks to be the SL550. Following his now-famous 8 silver reindeer, Santa takes a nice drive through the snowy trail. All is going according to plan for this chef while he prepares a batter to make a delicious treat. That is until his hand mixer suffers an electrical short. What is this chef to do but call for a ride in the Mercedes-Benz? 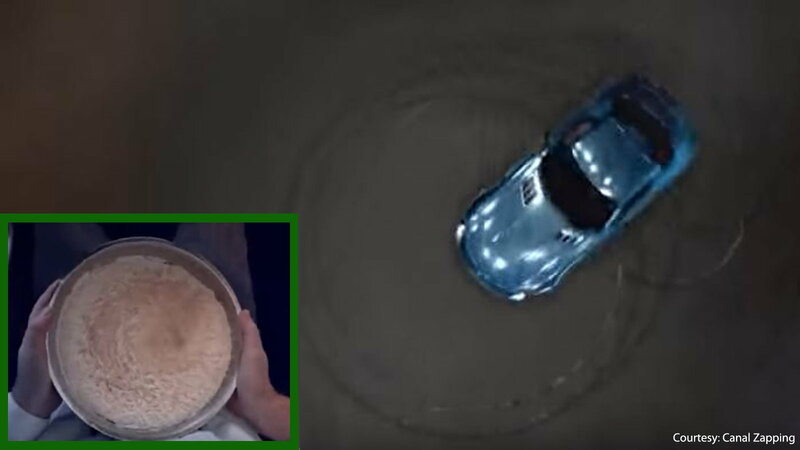 With the help of a professional driver doing some circle drifts, the batter gets nicely mixed and all is saved for this chef. Check out the 2012 Mercedes-Benz commercial wishing you a Merry Christmas here. After the AMG service team hovers over the Mercedes-Benz SLS AMG GT3 engine, they watch it do what it does best on the track, all while instructing the driver that they need more temperature. 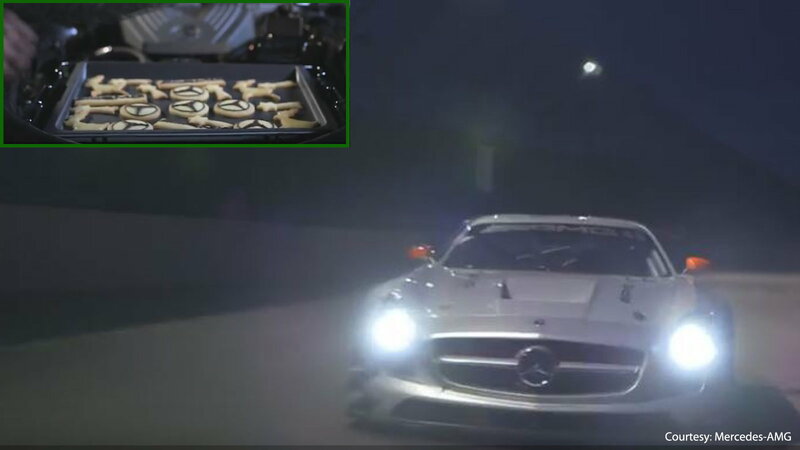 Little does the audience know that they weren't repairing the engine but placing holiday cookies so the engine will warm them right up. Watch the dramatically funny from 2012 video here. The best way Mercedes-Benz can implement the safety of its vehicle is to show the journey of this smart goose escaping the claws of death. 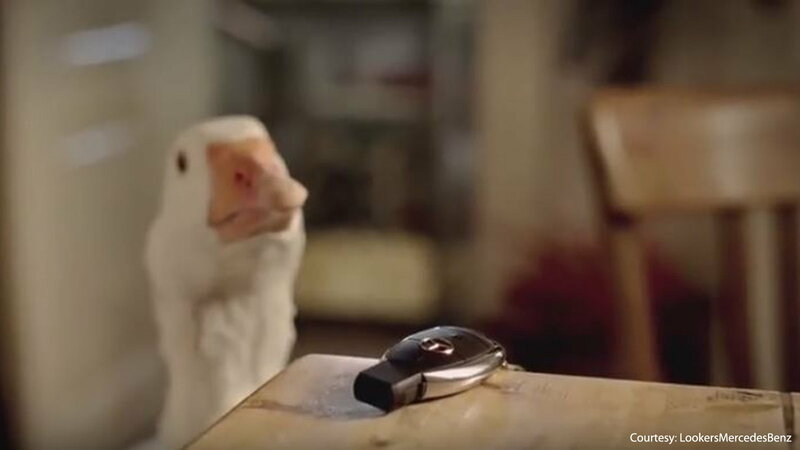 In this 2011 commercial, the cute goose finds a way out of his cage and upon realizing what is in store for him, he takes the keys to the family's Mercedes-Benz and hops in the trunk for safety. View the cute and funny goose video here. This 2016 commercial embodies what the holidays are like for children. It is that feeling of waking up early in the morning, knowing that Santa left some goodies, and ripping the wrapping paper to see what you got. Watching the smiles on your children's faces is what it's all about, but this M-B commercial switches things around and it is the parents who strut the smiles. Why do you ask? Well, because they got the best gift Santa could bring; a Mercedes-Benz. Watch the clever commercial here. 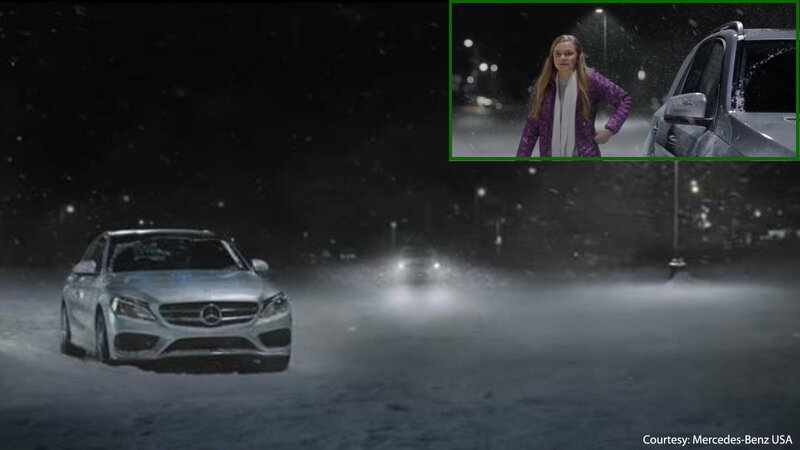 In the most touching of commercials, the Mercedes-Benz was able to prove its vehicle's capability through weather storms and give us a heart-warming story of a pre-teen on his first date. Determined to get to the movie theater, this young boy is hopeful that special someone will make it through the snowy storm for their date. In a turn of events, the Mercedes-Benz 4MATIC becomes the hero, as it was able to get its passengers to the movies safely. For the tear-jerking 2016 commercial, click here. For information on maintenance and repairs for your Mercedes-Benz C-Class or E-Class, head on over to our How-To section here in MBWorld.org!